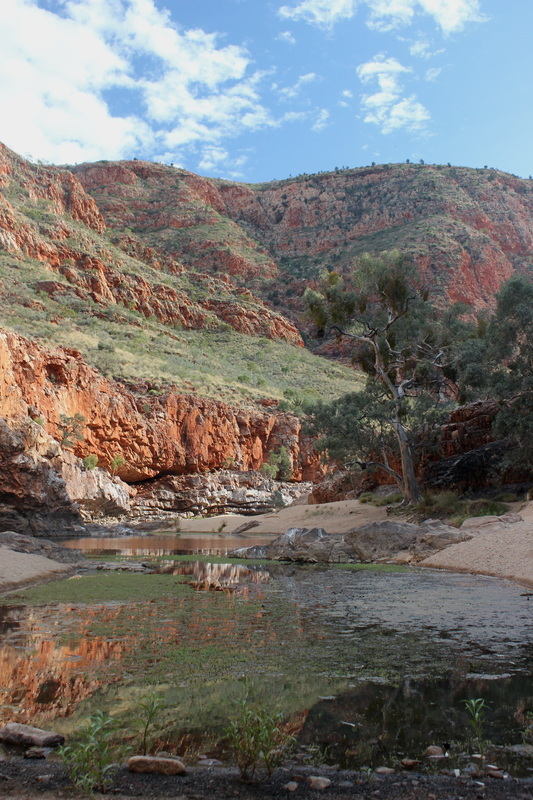 Ormiston Gorge is located in the West MacDonnell Ranges, located 135km from Alice Springs. 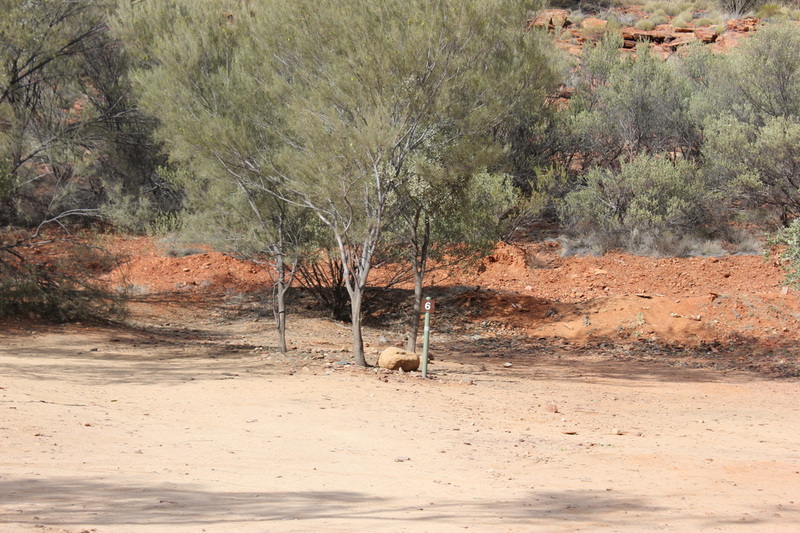 Access is via Larapinta and Namatjira Drives. The drive there is all on sealed roads, and you will pass many other attractions on the drive should you be travelling from Alice Springs. The attraction of the location is the Gorge itself and it really does showcase the beautiful Ranges - you can see why its so popular, and the permanent waterhole is an added bonus for visitors in such a parched landscape. This is one of the prettiest attractions in this part of the Ranges (at least from what we could see). Map and how to get there, can be found at this link. We were told if you wanted a spot at this campground, you need to get here early - there are about 10 spots only, and they tend to fill up fast. We were there when the weather was warmer, so it wasn't full about 10am in the morning. You will just have to take your chances, because it works on a first in, first served basis. The sites are close together, so not a lot of privacy. Shade was minimal. Predominantly when we visited, it was mainly camper trailers/caravans, not many tents (the ground is very hard, so bring a trusty mallet to get your tent pegs in). I tend to think that the campsite would be better for vehicles as opposed to tents (just my opinion). You will get an idea of the campsites from the photos below. There are toilets and showers in the campground, and another toilet block for the day visitors. Drinking water is limited - you would be advised to bring your own, and of course, if you are taking water from the Gorge, treat prior to drinking. We recommend keeping this water filtration system handy as it takes up no room when camping! At this photo of the amenities block, you will see that there are BBQ and seating area within the campground for your use too. There is also a kiosk available, which serves apparently the best coffee, and operates 7 days a week. Day visitors have their own area for BBQs and seating, but should you want to use that area, its very close to the campground. This is also has a Ranger station attached, so you will be able to take advantage of their knowledge if you see a ranger around! The Gorge is the attraction, with the Larapinta Trail also running through this area. 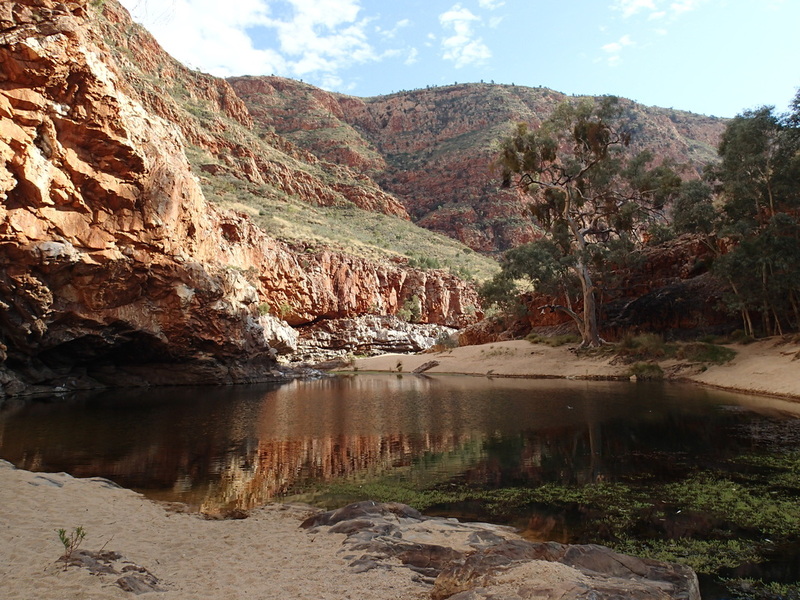 What sets this Gorge apart from most others in the area (apart from Ellery Creek Big Hole) is the waterhole and the ability to swim in it. A very easy twenty minute walk from the car park takes you to this waterhole, and shows you the beauty of this part of the Ranges. The water was freezing on the day we visited, and it was HOT day and the warnings about hypothermia are very real. It is a beautiful spot to sit down and take in the scenery, see the birdlife that abounds in this area. 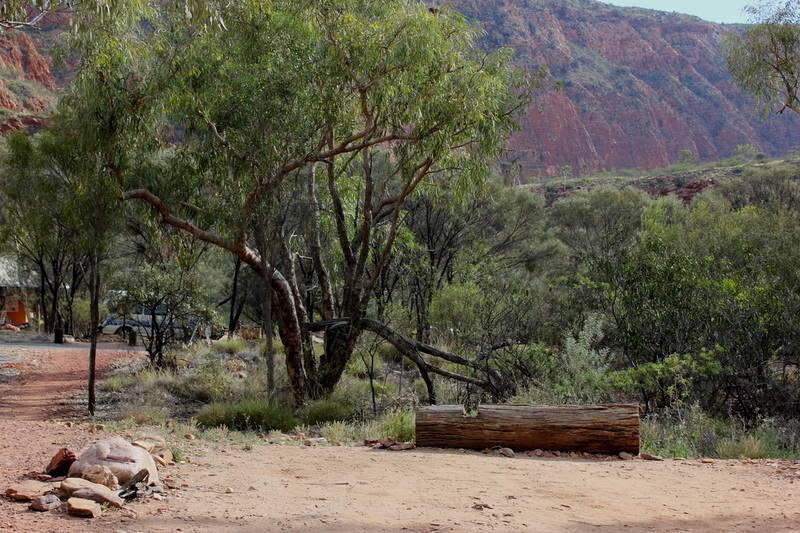 This is a highly recommended spot to see in the West MacDonnell Ranges. If you wish to take a longer walk, there is the 3-4 hour Ormiston Pound walk, which is a complete loop from the Visitor Centre and then back via the Gorge. In hot weather, ensure you take all proper precautions. It was too warm for us when we visited so unfortunately couldn't do it.